THE CLASSES OF 1969, 1970, AND 1971 WILL BE MEETING AT TRINITY METHODIST CHURCH IN HOMEWOOD FROM 8:30AM UNTIL 12PM AND EVERYONE IS INVITED! COFFEE, DONUTS AND OTHER BREAKFAST SNACKS WILL BE SERVED. FROM 8:30 UNTIL 9:30 OUR CLASSMATES WILL BE SHARING SOME OF THE EXPERIENCES OF THEIR LIVES AND THIS IS NOT ANYTHING SCRIPTED, SO EVERYONE IS WELCOME TO SHARE THEIR OWN STORY. ONE OF OUR CLASSMATES WILL TAKE A FEW MINUTES TO EXPRESS WHAT THEIR FAITH IN GOD HAS MEANT TO THEM AND HOW GOD HAS MANIFESTED HIMSELF IN THEIR LIFE. THE REST OF THE TIME WE CAN JUST HANG OUT AND CATCH UP WITH OUR FRIENDS. THESE "ONE ON ONE" TIMES HAVE ALWAYS PROVEN TO BE THE BEST WAY TO DISCOVER WHAT OUR FRIENDS HAVE BEEN DOING ALL THESE YEARS AND TO MAKE NEW FRIENDS AT THE SAME TIME. THERE WILL BE NO CHARGE TO OUR CLASSMATES! SOME OF US HAVE SUGGESTED WE MEET SOMEWHERE IN HOMEWOOD AFTER WE LEAVE TRINITY CHURCH FOR LUNCH AND OF COURSE, EVERYONE IS INVITED. 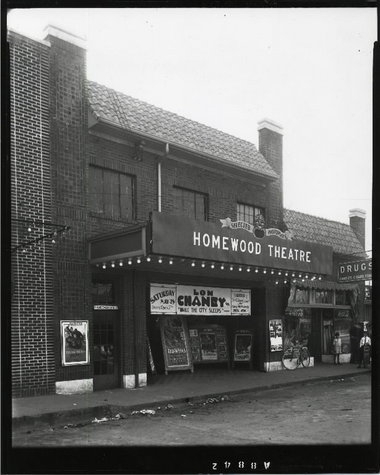 THE HOMEWOOD THEATRE WHERE THE "BLOB" ALMOST CAUGHT ME!